The Music in Schools (MIS) Outreach Program completed its twenty-fifth year of providing musical enrichment to underserved students in Seattle Public Elementary schools. Over 7,000 student contacts were made in six Elementary schools, through seventeen interactive presentations and activities. Before School Chorus (Laura Ouimette, Director) meeting weekly January through June with several performances throughout the school year and in nearby retirement homes. LMC Award Tour artists, Cameron O’Connor, guitar, and Erik Steighner, saxophone, appeared at Boys and Girls Club. MIS provided busing for students from Day (as well as Maple, Rainier View and Martin Luther King schools) to Laura Ouimette’s organ pipe organ/music history presentation of the history of Western Music at Plymouth Congregational. Dancer Chris Diagre worked with every class on every day at Sandpoint Elementary on March 21 through Spring break. Expenses were shared with the with PTSA. Mr. Diagre will dance with students at Licton Springs on May 25th. April 25th the DeCoda Ensemble, musicians whose director is Sæunn Thorsteinsdóttir, the new professor of cello at the University of Washington, gave a residency for both string and band students at Washington Middle School featuring a Fauré piano quartet and an original composition created by students themselves. The Daedalus String Quartet, in partnership with the UW World Series were in residence on April 27th at Lowell Elementary with Kindergarten, 3rd, 4th and 5th grades. Students listened to music of Beethoven and UW composer, Huck Hodge. Gansango African Dance Ensemble gave dance instruction to Licton Springs (formerly Pinehurst Elementary) students for three days on April 27, 28 and 29th. May 10th the kindergarten and first grade classes of Sand Point Elementary presented a spring vocal music concert to parents and community. This is the music program that LMC funded for a transitory year at the school with the Wilson money. Eduardo Mendonca and the Show Brazil Ensemble will perform and teach the rhythms of Brazil to John Muir students on May 17th. Prokofiev’s classic Peter and the Wolf will be presented by the Symphonic Wind Ensemble with student narration at Sandpoint on May 20th. 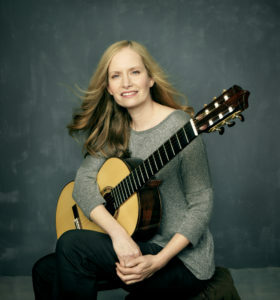 Ladies Musical Club member and past Frances Walton Competition winner, Hilary Field, guitar will perform and speak with Lowell 3rd, 4th and 5th graders on May 16th. B.F. Day Elementary’s choir will perform at three spring performances: May 20th at a school assembly, June 9th for the school art walk and June 16th for University House, Wallingford. At Sanislo two third grade classes are completing their five instruction sessions with Seattle Symphony recorder instructors for their “Link Up program”. 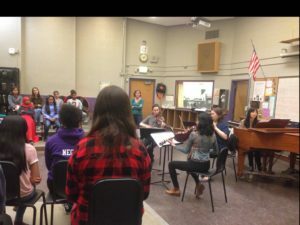 Their preparation is for attendance and performance at the Symphony’s “Link Up” program on May 20th with thousands of students throughout the city enrolled in the program as well. The Music in Schools (MIS) Outreach Program completed its twenty-fourth year of providing musical enrichment to underserved students in Seattle Public Elementary schools. At least 6,500 student contacts were made in six Elementary schools, through ﬁfteen interactive presentations and activities. 115 students; 5% English language learners; 13% African American; 12% Asian American; 14% Hispanic; 2% Native Americans; 54% free or reduced lunch program. 200 students; 25% English language learners; 40% African American; 26% Asian/Pacific-Islander; 14% Hispanic; 12% multiracial; 67% free or reduced lunch cost program. 232 students; 27% English language learners; 29% African American; 26% Asian; 16% Hispanic; 4% Native American; 60% free or reduced lunch program. 280 students; 21% African American; 26% Asian American; 18% Hispanic; 11% multiracial; 65% free or reduced lunch. 336 students; 15% English language learners; 14% African American; 12% Asian American; 13% Hispanic; 40% free or reduced lunch program. First Place 50 students; serving homeless and transient children. Highland Park 320 students; 29% Latino; 31% Asian; 20% African-American; 73.3% free or reduced cost lunch program. Maple 464 students; primarily Asian; 63.1% free or reduced cost lunch program. Pinehurst K-8 82 students; 13% Latino; 12% African American; 12% Asian/Pacific-Islander; 9% multiracial; 53% free or reduced cost lunch program; alternative curriculum. Rainier View 200 students; 25% English language learners; 40% African American; 26% Asian/Pacific-Islander; 14% Latino; 12% Multiracial; 67% free or reduced lunch cost program. Sandpoint 232 students; 27% English language learners; 29% African American; 26% Asian; 16% Hispanic; 4% Native American; 60% free or reduced lunch program. Southshore K-8 390 students; 40% African-American; 30% Asian/Pacific-Islander; 9% Latino; 8% multiracial; 59% free or reduced lunch program. 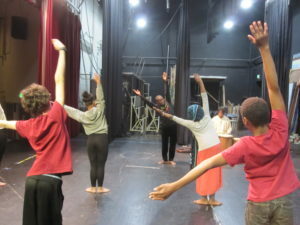 Although Lowell Elementary School was not part of the Music in Schools group, through a special arrangement, LMC funding was able to provide six sessions of dance instruction by Chris Daigre of Ewajo Dance Project. He taught a group of less-accomplished transfer students Michael Jackson’s Thriller, which they performed for their schoolmates and parents. The sense of achievement that these children received from the performance, their pride in their success, and rare opportunity for their parents to participate in a school arts activity all contributed to the triumphant conclusion of the project.